PARIS (AFP-Jiji) "The Little Prince," an edifying fable written five decades ago by French aviator and author Antoine de Saint-Exupery, is France's top pick as book of the millennium, according to a poll to be published Tuesday by Le Parisien newspaper. The story, a series of parables about a boy prince recounting his adventures among the stars to a downed pilot on Earth, grabbed 45 percent of the vote, nudging out second-place "The Old Man and the Sea" by Ernest Hemingway, which scored 23 percent. 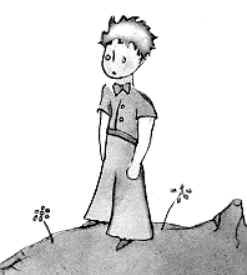 "The Little Prince" was first published in English in 1943 in New York and did not appear in France until three years later. It went on to be translated into more than 100 languages and is one of the best-selling books on the planet, behind the Bible and Das Kapital by Karl Marx.